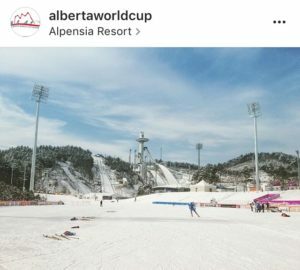 Annika Hicks and Julien Locke joined Team Canada at the Pyeongchang, South Korea test event, nearly one year out from the 2018 Winter Olympics. Still recovering from an illness that knocked her out of commission for the first part of the year, Hicks finished 26thin the Skiathlon, and 32nd in the sprint. Locke fell in his sprint qualifier, and ended up 32nd on the day. Although the field wasn’t deep, the experience was memorable for both athletes, as they got a taste of what to expect in 2018, should they earn a spot on Canada’s Olympic team.